View cart “Come, gracious Spirit” has been added to your cart. Singer/Songwriter Andrew D. Brewis has recently concentrated on writing inspirational and religious music for use in church and worship services. To date he has released three inspirational CDs: “Songburst”, “Gracenotes” and now his new release, “Upbeats”, with his recording partnership, The Newsong Group. Andrew’s catalogue of sheet music comes from these three albums. There’s something for everyone in this range of beautiful ballads, upbeat worship melodies, and lyrical contemporary pieces. Andrew is known for writing moving, original melodies, which touch the heart through their simplicity. Indeed, they are immensely singable. All sheet music also contains guitar chords. 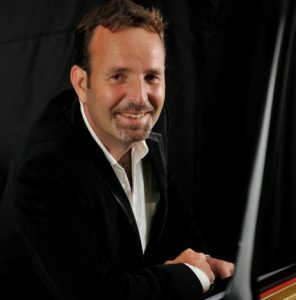 Andrew hails from England and is a member of the British Academy of Composers and Songwriters. He has been a professional pianist, singer, songwriter, teacher and cabaret artist for more than 20 years. Andrew is equally at home entertaining in the intimate surroundings of a piano bar as he is performing on stage, radio and television. Now a recognized master of his art, Andrew’s performances and recordings are quintessentially English, but with an international slant and a truly international following – having performed in London, New York and Cape Town. Andrew has recently been concentrating on writing inspirational/religious music and to date has released two cds with his recording partnership, The Newsong Group. Both albums have been sold world-wide and sales have exceeded expectations.